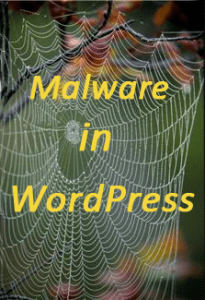 Malware WordPress attack on your website can cause you blacklisted in google and can cause a lots of bad effects. This post is regarding how to remove Malware from WordPress website. Recently I got a call from a customer asking if we can remove malware in wordpress website due to which google have blacklisted his website. How to check if your website is having Malware? You can use Sucuri SiteCheck a Free Website Malware Scanner or can use google webmaster tool as well. If every thing is fine with your website you can get following kind of report. Google has not detected any malware on this site. How is the Malware code looks like? Install a plugin Better WP Security. This need to be installed before the attack. After attack this wouldn’t be able to solve the problem. How to remove the Malware code? You need to find and remove all the lines which has base64_decode(“some garbage code “). This can be present in Java Script as well. Re-install the wordpress blog this will help in fixing some of the files. Please not that take the back up of all your data before doing this. Clean up your comments. Remove all the comments marked as spam. Clean up your database. There can be a possibility of having same code present in your database. Remove all such entries. After removing Malware from wordpress blog verify that non of your post is having Malware. You can do that easily using Sucuri SiteCheck. After everything is done submit your website to google Webmaster tool which have marked your website blacklisted for re evaluation. This process takes some time. Once its done don’t forget to install plugin Better WP Security and configure it by going to settings. If you see following kind of attack information in your other_vhosts_access.log file or in access.log file. www.ampletrails.com:80 5.39.68.142 - - [22/Jan/2014:23:12:53 +0530] "POST /wp-login.php HTTP/1.0" 200 11562 "-" "-"
www.ampletrails.com:80 5.39.68.142 - - [22/Jan/2014:23:12:54 +0530] "POST /wp-login.php HTTP/1.0" 200 11562 "-" "-"
Malware WordPress Block IP address from attacking wordpress site. Use IP tables if you are on Linux system following command will help. For more information contact us now at 9818390836, write us at info@ampletrails.com or fill the following form.